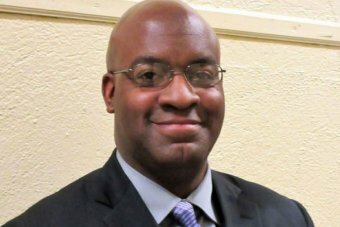 A high school principal who died after donating bone marrow to save the life of a complete stranger did everything in life “for a purpose”, his family said. Derrick Nelson, 44, underwent the typically low-risk donation procedure in February after discovering his blood was a match for an unidentified 14-year-old boy in France. Dr Nelson, who was principal of Westfield High School in the US state of New Jersey, lapsed into a coma during the procedure, where he remained until his death on Monday (local time). “He excelled at everything he did,” his father Willie Nelson said. Dr Nelson, who had a 6-year-old daughter and was engaged to be married, did not know the French teen, but told his high school newspaper shortly before the procedure that he was determined to help. However, at his final physical exam in January, Dr Nelson was asked if he had sickle cell anaemia, a blood disorder. “I said well I don’t have sickle cell, but I have the sickle cell trait,” he told the newspaper. They ultimately decided to do the bone marrow surgery under a local anaesthetic, he said. Nancy Radwin, a spokeswoman for Hackensack Meridian Health, said she could not comment on the cause of death or whether any bone marrow was successfully extracted, but labelled his death a “tragic outcome”. “We extend our deepest sympathies to the family of Dr Nelson, to all of his students and their families, the community, his friends and colleagues whose lives he touched,” Ms Radwin said. Dr Nelson and the teen were connected through Be the Match, a worldwide bone marrow registry network. About 70 per cent of patients needing a bone marrow transplant don’t have a fully matched donor in their family, according to Be the Match’s website. Bone marrow donation is considered a low risk procedure. About 2.4 per cent of donors experience a serious complication due to anaesthesia or damage to bone, nerve, or muscle in their hip region, according to the National Marrow Donor Program’s website. “We deeply appreciate Derrick’s willingness to step forward to donate, and we share our sympathies and condolences with his family,” said Dr C Randal Mills, chief executive of Be the Match.